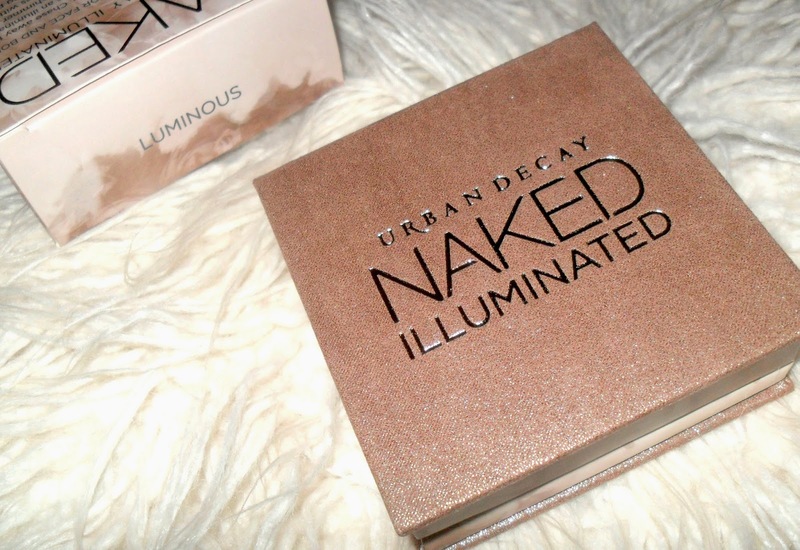 I have fallen in love with this Urban Decay Naked Illuminated highlighter and wanted to share it with you all. 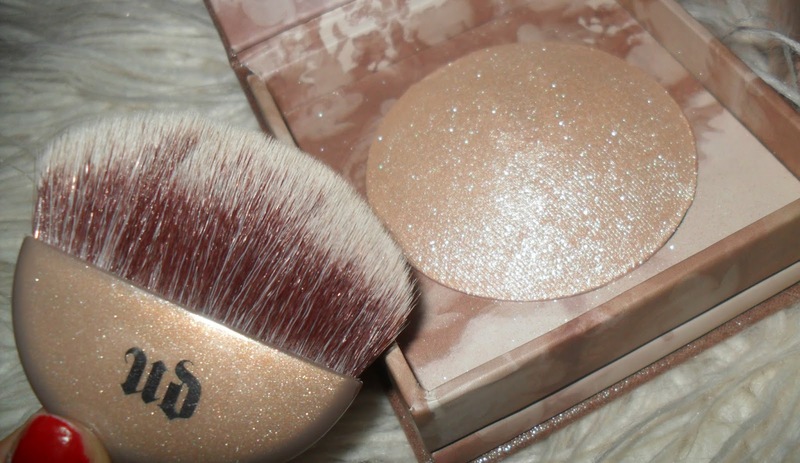 This is a baked highlighting powder which is available in two shades "Luminous" and "Aura". I would describe "Luminous" as a champagne shade and "Aura" is a lot more pink toned. Urban Decay Illuminated in "Luminous"
I have been using this for the past few days now and I am already obsessed with it! As this can be used on the face and the body I have been applying it onto my cheek bones, brow bone and collar bone etc. I also found this is great to use as an eye shadow to add some sparkle to a smoky eye. 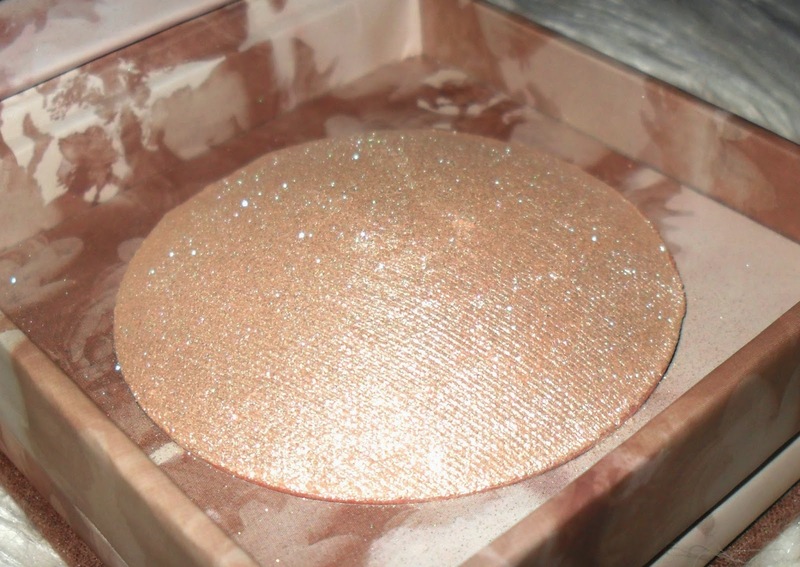 This highlighter is great for giving you a gorgeous glow, this is very glittery though and may be too much for some people, but personally I love it. Even though a good quality brush is included with this highlighter I recommend to use a fan brush with this. Always remember to lightly tap the brush to ensure you haven't got too much product on your brush, a little goes a long way and remember you can always build it up to your desired amount. 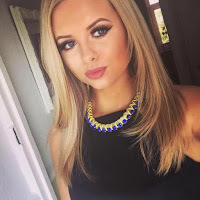 This is long lasting and looks great on photographs, I can not wait to wear this on my next night out. What's your favourite highlighter? Let me know! Ooh this sounds lovely, I can't wait to try it! I use one from smash box, I can really not at all use highliters that are so glittery!